Folau Tupou was born and raised on the North shore of Oahu. 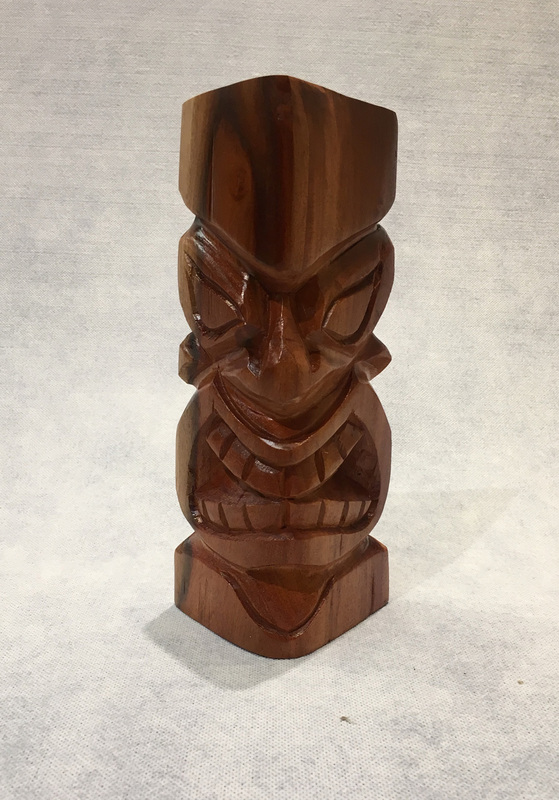 He learned the art of tiki carving from his Uncle Lavaka, a wood carver and canoe builder famous throughout Hawaii and the South Pacific. At the age of 15, he began carving and studying extensively the history of the Hawaiian gods, especially spiritual ones. He was taught to respect the different woods in doing his carvings. 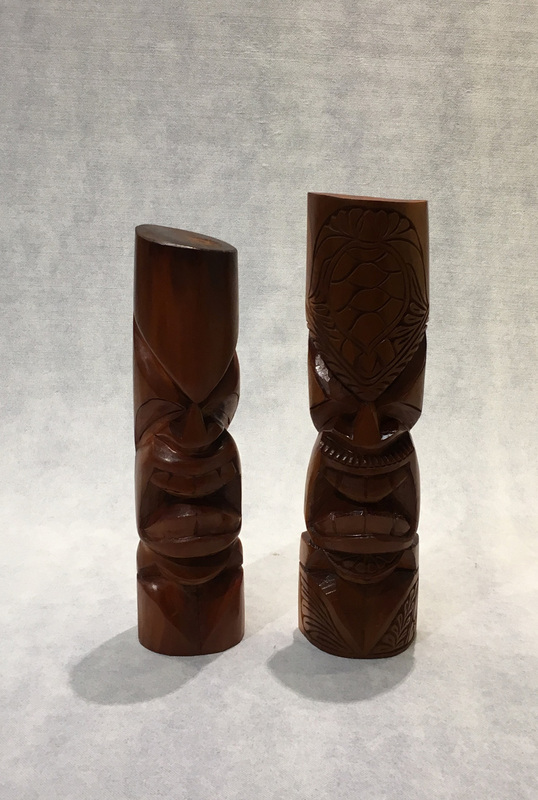 Folau’s carvings are in public and private collections worldwide and when his son becomes 10 years old, he will also teach him the art of tiki carving. 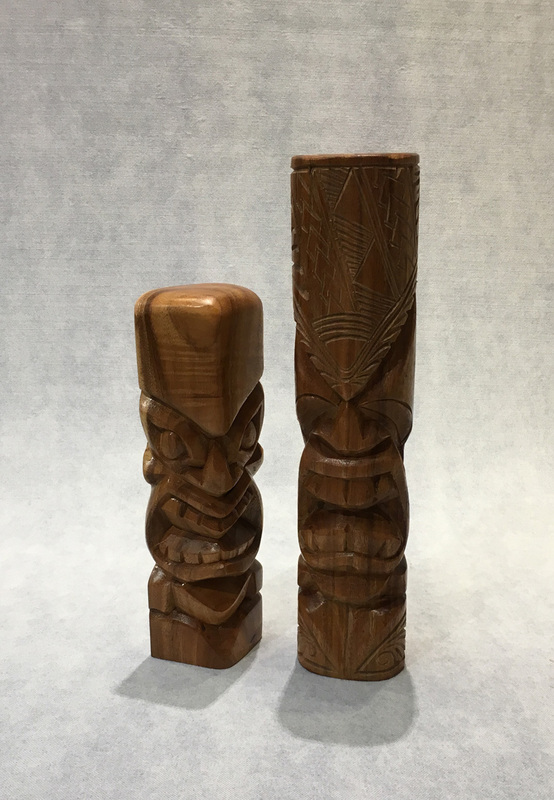 Carving is a four generation tradition in Pila Lavaka’s family. 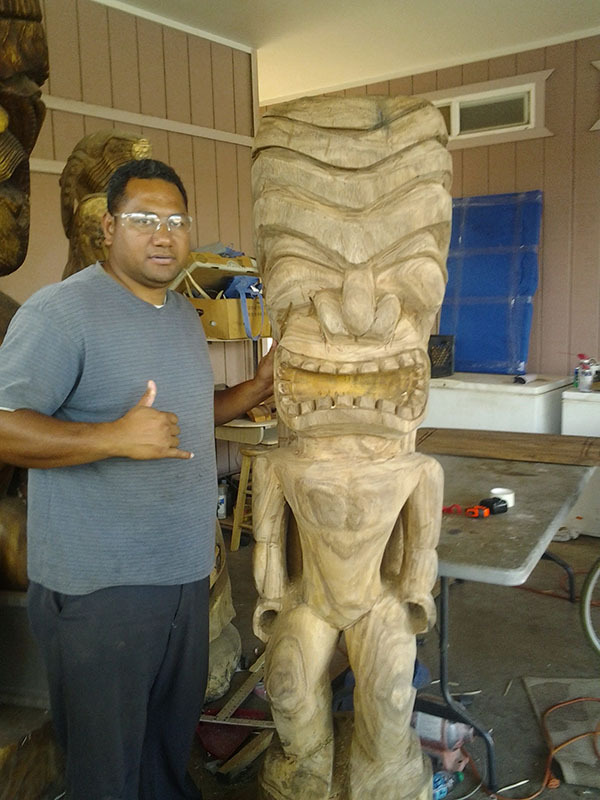 His father, of Tongan descent, got him started on the craft when he was just a little boy and Pila continued to carve his whole life. 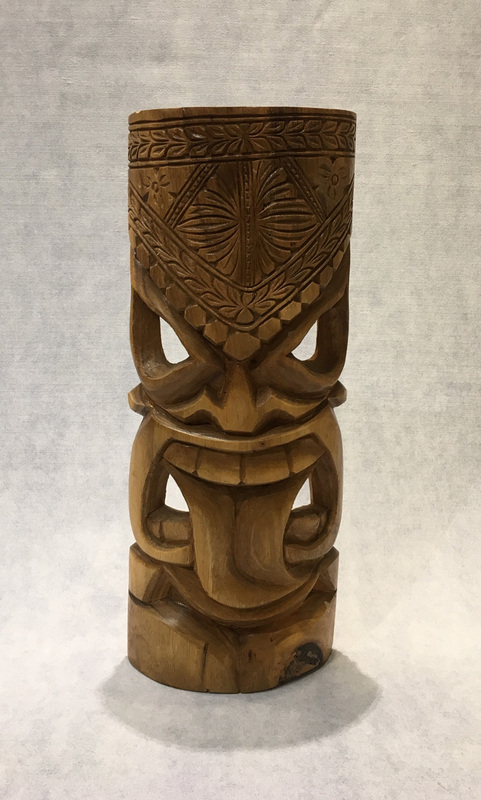 His Tiki work expresses Polynesian tradition and culture. The expressions carved into the wood have specific meanings and represent common human needs and desires. 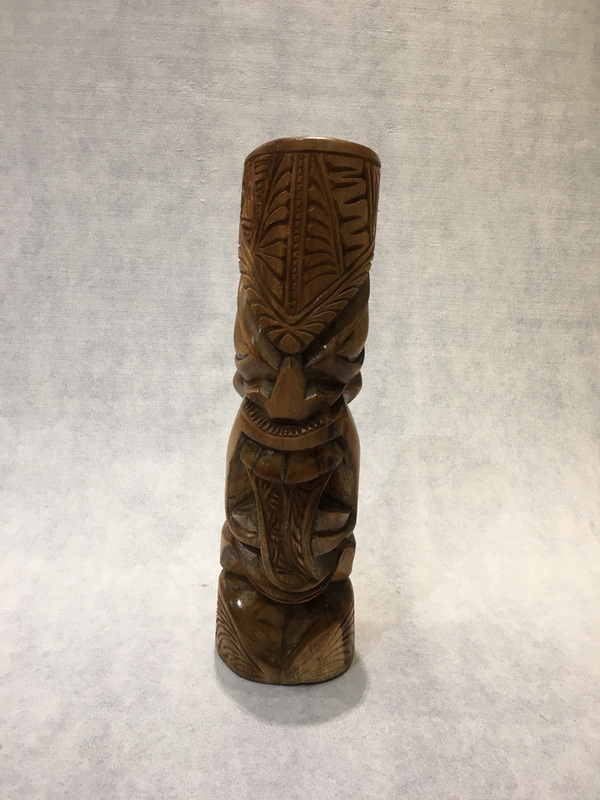 Hawaiian woods, such as milo and monkey pod, are the base of all his carvings. In select sculptures, Pila’s creativity extends beyond the traditional into more contemporary themes. He is young but honors Tongan traditions.